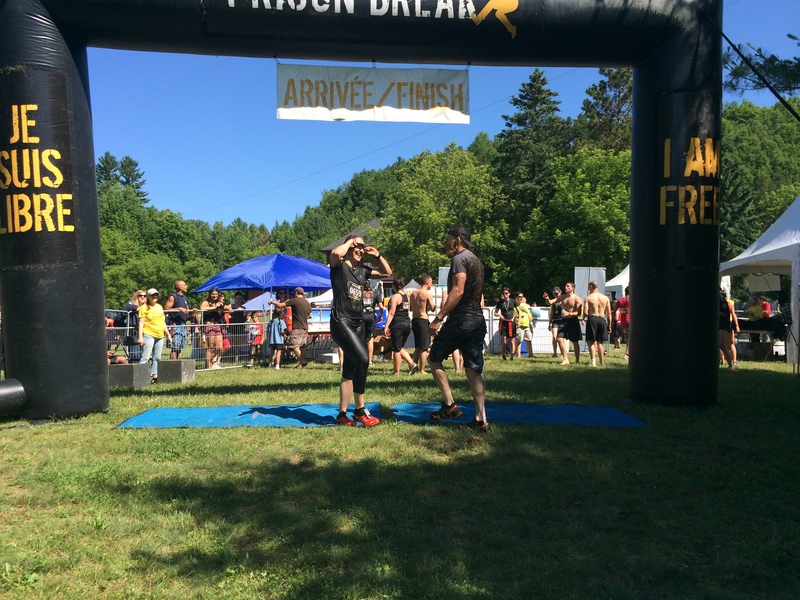 Prison Break is one of the newer obstacle race series, yet it has already been highlighted among three top rated races in the Impact magazine, along with Ontario Women’s Triathlon and Oasis Zoo Run. 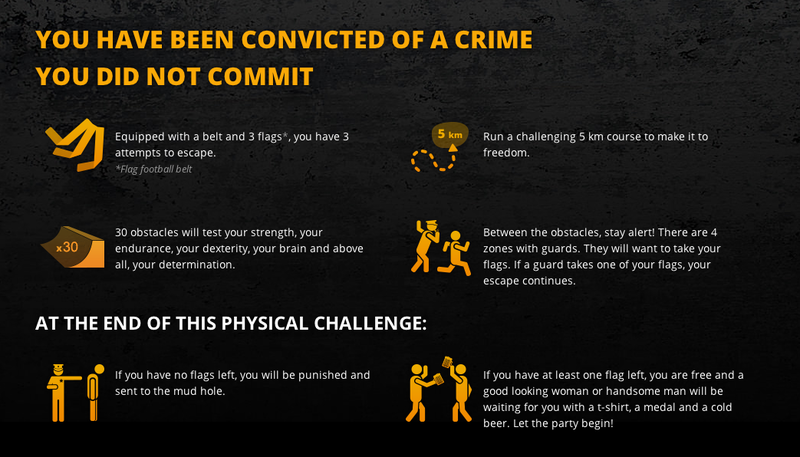 It combines an obstacle heavy 5k with capture-the-flag twist, where you “break out” and attempt to escape, all while keeping the three flags you are given at the start. This was definitely one of the races that underpromised and overdelivered – a great balance of well-spaced obstacles. I never felt like we were just running at any point. There was always something coming up, and “cops” trying to get your flag, provided a surprisingly intense intra-race sprint workout. 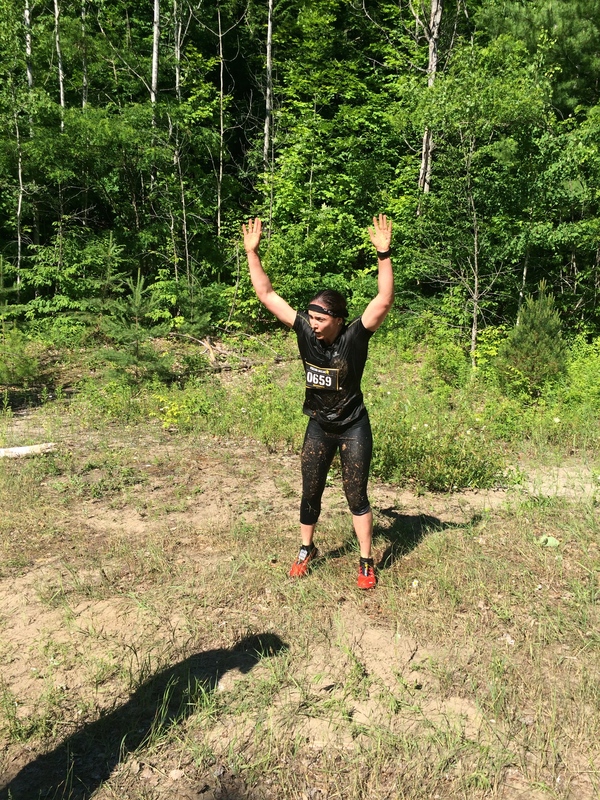 I was training for my upcoming blindfolded Tough Mudder at the time, so we opted to run between obstacles, and attempt every obstacle blind-folded. Check out the footage of few obstacles below. you get to see me DANCE. Possibly, for the first and last time, on film. I did not make the traverse wall. 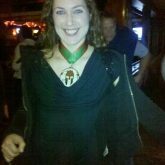 … and had to deliver 20 burpees as penalty. At the finish line, if you have at least one flag left, you are free. If, however, all flags have been taken away from you, you are sent through the penalty obstacle. 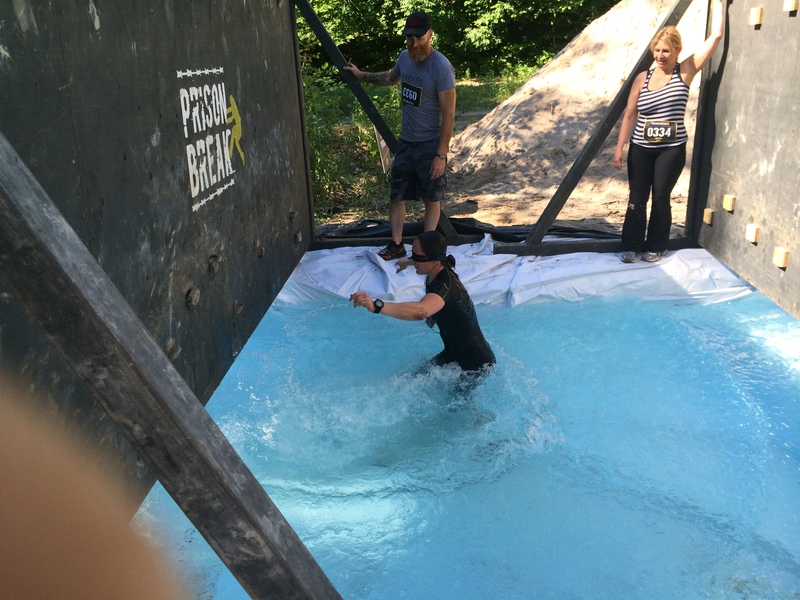 At the Toronto race that meant waddling through a waist-deep water-filled dumpster. I would say the reinforcement of the penalty was fairly lax (which seems to be the theme in obstacle racing, in general), so if you were hell bent on not doing it, you could have easily kept walking. 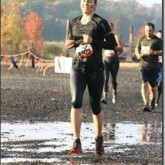 While most beginners often start entertaining the idea of Warrior Dash. 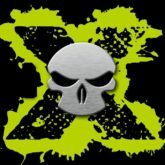 I would actually recommend this event over Warrior Dash, which seems to be getting more expensive, and less obstacle-y every year. 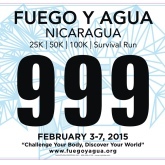 This race series is a great addition to events like Mud Hero and BadAss Dash. 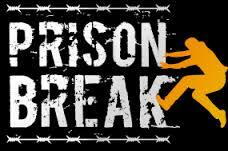 Three Prison Break racing weekends still await in 2014! Dates later in the season are definitely welcome, as most Spartan races wrap up by the end of July. Unfortunately, the race organizers have recently rescheduled Prison Break Ottawa, moving the original race date by a week, and leaving many racers frustrated. I, for one, can sympathize. August and September are prime racing months, and weekends are often planned months in advance. *Disclaimer: I have received a free entry to this event. Under no circumstances have I been paid to write any positive reviews. Anything you read here is my independent opinion based on my own experience.